Samara is famous for its fishing grounds, which is hardly a surprise as the city is located at the confluence of two great rivers, the Samara and the Volga. Today, it is a major fishing center. No wonder fish dishes are so widely popular here. But not by fish alone… Football fans coming to the city have no need to worry. 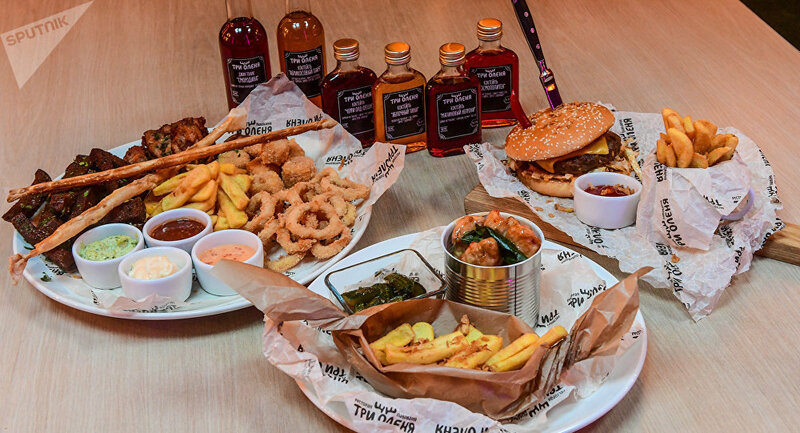 The local cuisine is diverse and will suit all palates. The restaurant began as a craft brewery, where beer was brewed according to home recipes. Gradually, the brewery expanded into a chain outlet. 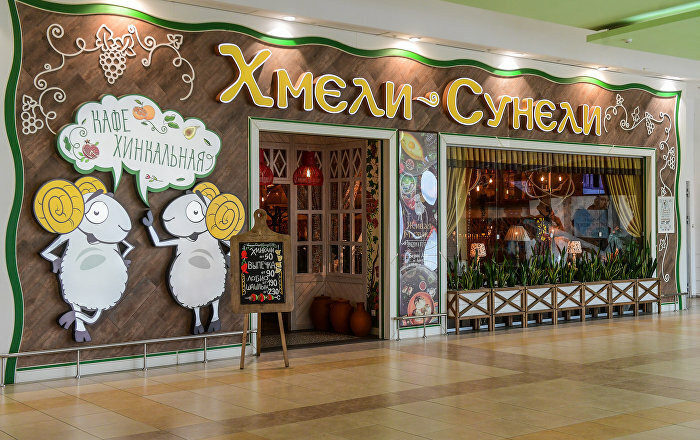 The popular beer brand is available in retail shops, plus there are several Three Deer restaurants in the city, two of them at Samara International Airport. 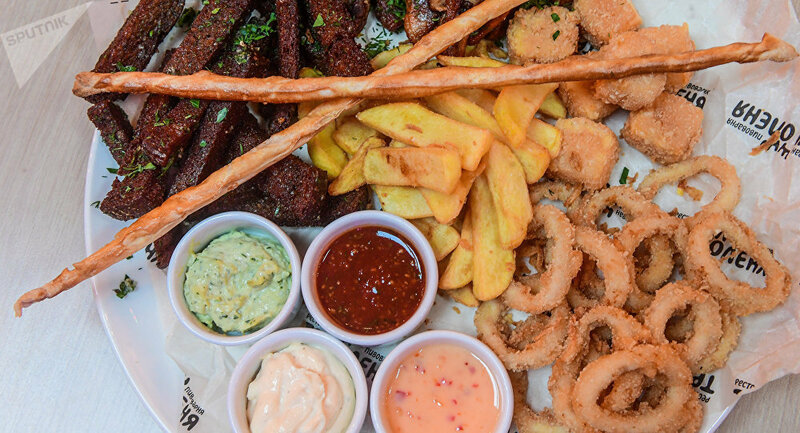 Three Deer recommends all football fans to try its beer menu: crisp croutons, deep-fried calamari rings, spicy chicken wings and French fries. The main course is the Three Deer signature burger. 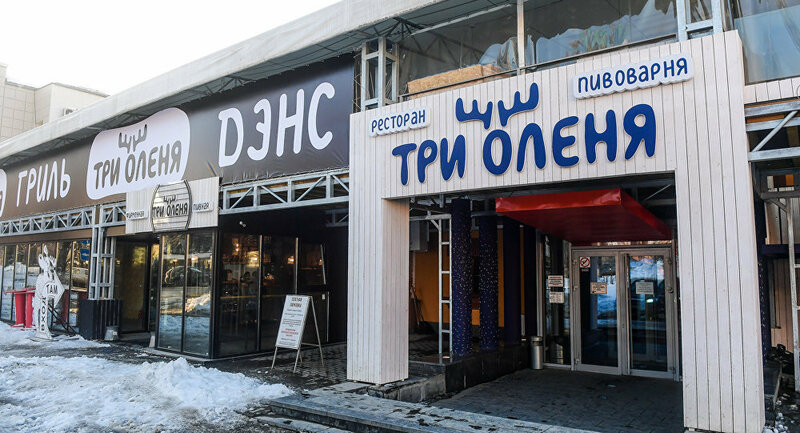 The Samara chefs have invented their own burger recipe matching the restaurant's name: a patty of chopped reindeer meat is sandwiched between two buns (white or brown as you like). The top bun is decorated with two pods of hot red pepper to symbolize deer antlers. Fish lovers will doubtless appreciate crispy fried Faroe codfish in spicy a sweet and sour sauce. The dish comes with a big portion of French fries and a cucumber salad. 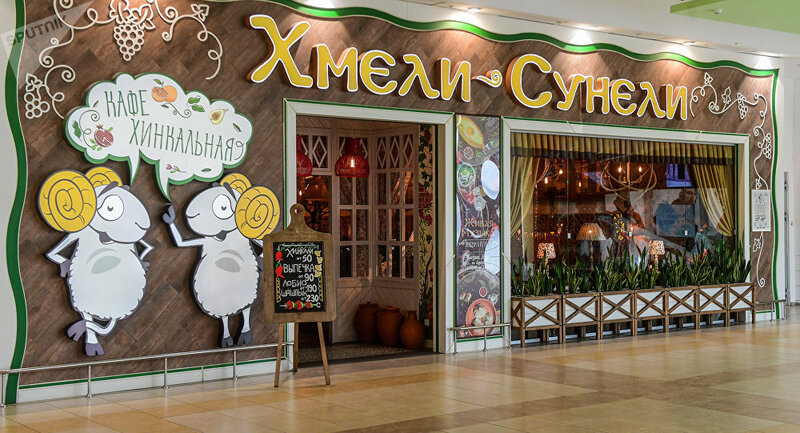 This cozy restaurant serving tasty and hearty burgers is located in the very center of Samara with all the main attractions, the Volga embankment and a tram stop just a stone's throw away. The tram is the easiest way to get to Samara Arena. 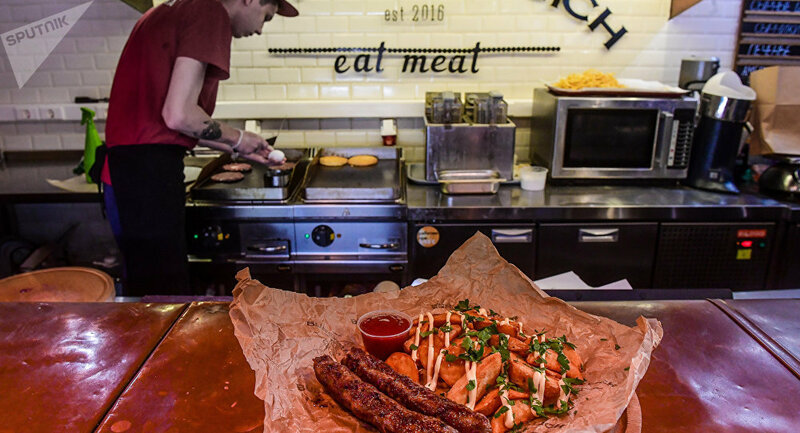 The Myasnik (Butcher) burger, a real giant topped with cheddar and Maasdam cheese, Speckwurst sausage, ham, egg, bacon and herbs and sandwiched between sesame-topped buns weighs over a pound and won't leave anyone hungry. 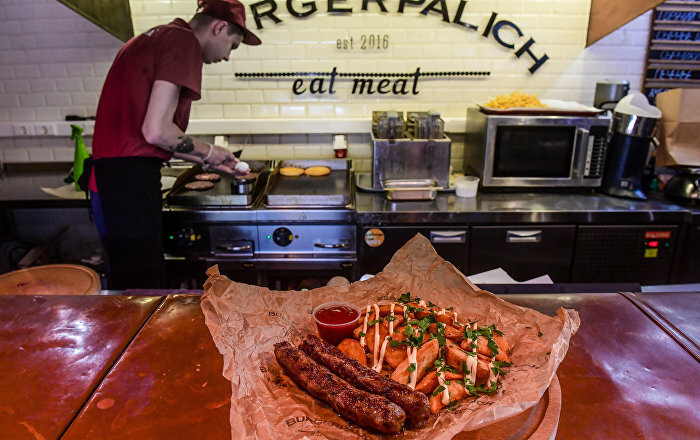 If that's too big for you, BURGERPALICH can offer you a smaller burger called Baconator: chopped beef patties with iceberg lettuce, tomatoes, gherkins, bacon and a cocktail sauce. If you prefer something even lighter you can try a turkey salad that goes well with grilled finger sausages and potato wedges. 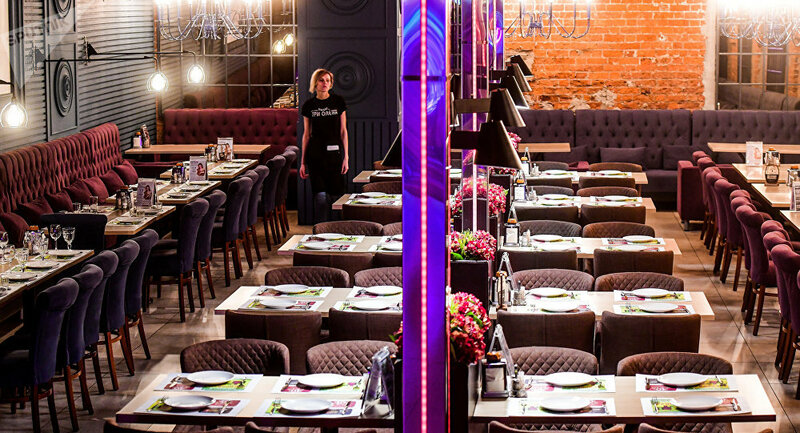 Khmeli Suneli, a restaurant of Georgian cuisine, was chosen by the 2018 FIFA World Cup Russia Local Organizing Committee as a dining venue for volunteers who will work during the World Cup matches. The restaurant recommends football fans to try its lobio deluxe, an ethnic dish made from pureed kidney beans with spices, herbs and onions. It is served with feta cheese, pickles and Georgian cornbread (mchadi). A wide variety of signature Georgian dumplings (khinkali) are served with grilled vegetables. Laid out on a large wooden kitchen board are tempting mushrooms, sweet peppers, onions, tomatoes and eggplants, all grilled over charcoal.